Windows 10 is what Windows 8 should have been when Microsoft decided to integrate the operating system for both PC as well as mobile devices into one single package. 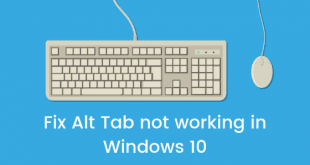 Windows 10 is a perfect OS that can be used on a PC as well as a touch based device. That is one of the reasons why we are seeing so many 2-in-1 hybrid laptops running Windows 10. It not only adapts as per the device, but it also provides a large number of apps to be used on these tablets. In this post, we are going to list some of the best Windows 10 tablets that are available in the market right now. Microsoft set a new benchmark in terms of 2-in-1 hybrid Windows devices segment when they launched the first Microsoft Surface. This thing was a full-fledged computer collected in a small tablet manner. Not only was it ultra-portable, but it came with several accessories that converted this thing into a good portable PC. 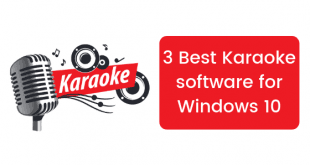 That is why we think it is one of the best Windows 10 tablets you can find in the market. The Surface Pro 4 is no joke in terms of a great device. This device boasts of a good spec sheet and build quality. It comes with a very good snap-on keyboard cover that provides the user with the ability to have a keyboard as well as a trackpad for desktop use. You also get a stylus along with this to take advantage of the touch screen. This thing comes in different specification configs, and you can know more about it here. 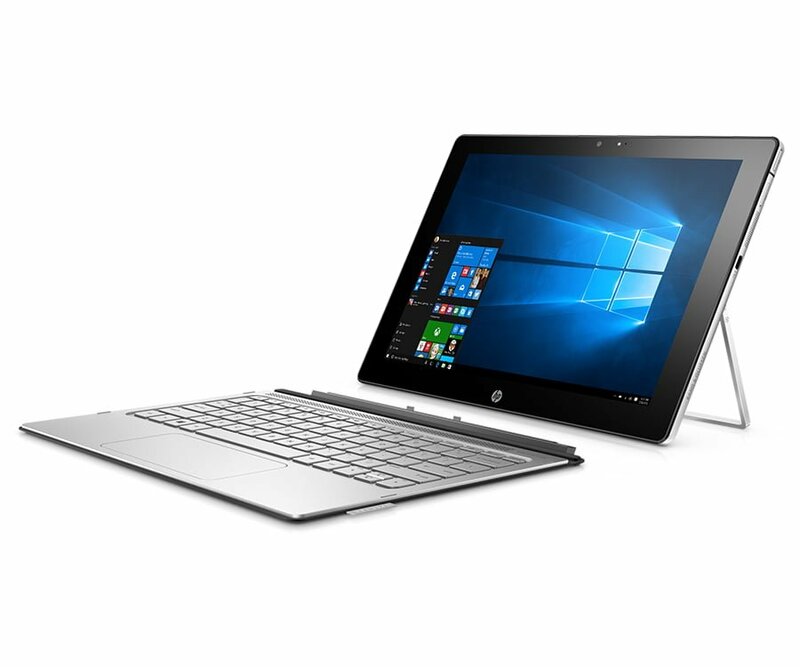 The first thing you will notice about the HP Spectre X2 is the similarity it has with the Microsoft’s Surface Pro 4. But the HP Spectre X2 holds its own as it is thinner and lighter due to the fact that it is using a fanless processor. You get an Intel Core M processor which was designed by Intel especially for devices like the HP Spectre X2. 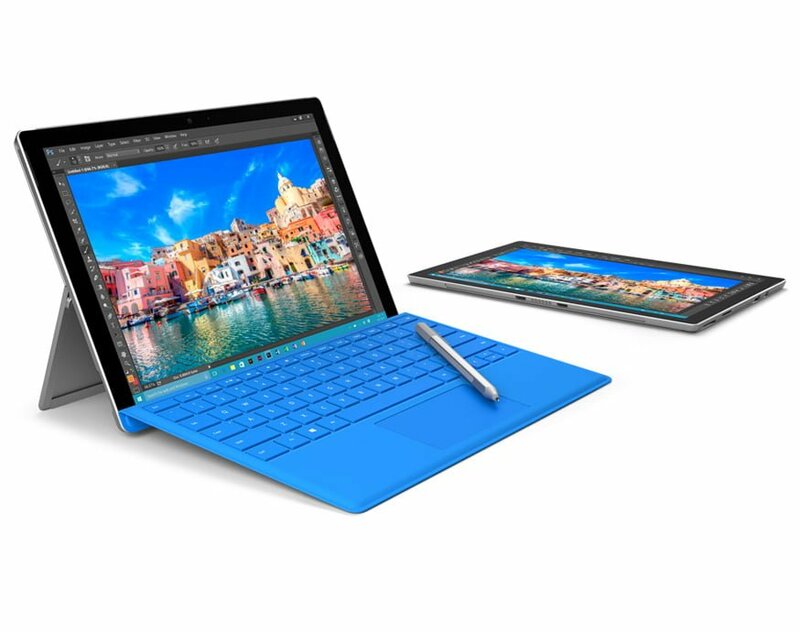 The price is also lower as compared to the Microsoft’s Surface Pro 4 and it comes with an included keyboard cover. It also has a kickstand just like the one that Surface Pro 4. Call it a Surface Pro 4 clone all you want; this is an amazing device overall. You have options to choose from different specification configs that you can read more about here. Samsung tablets dominate the Android tablet market but did you know that the company also manufactures Windows tablets? 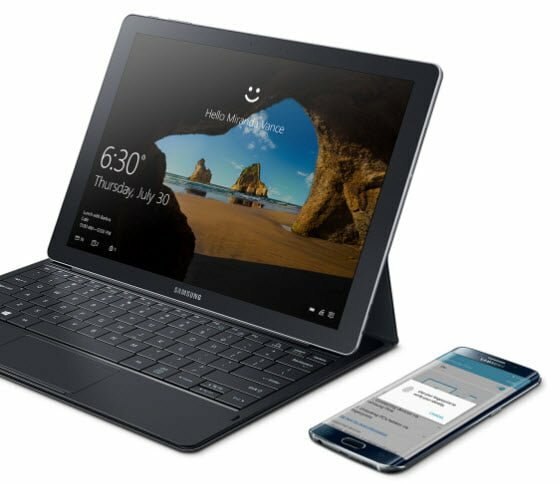 The Samsung Galaxy TabPro S is one of the most beautiful Windows 10 tablets out there. You get a 12-inch Super AMOLED screen on this thing which looks beautiful. The tablet is also very thin but despite that specific fact, it packs a very nice set of speakers. You also get a keyboard cover with this which goes very well with the tablet and the design. You can know the detailed specifications here. 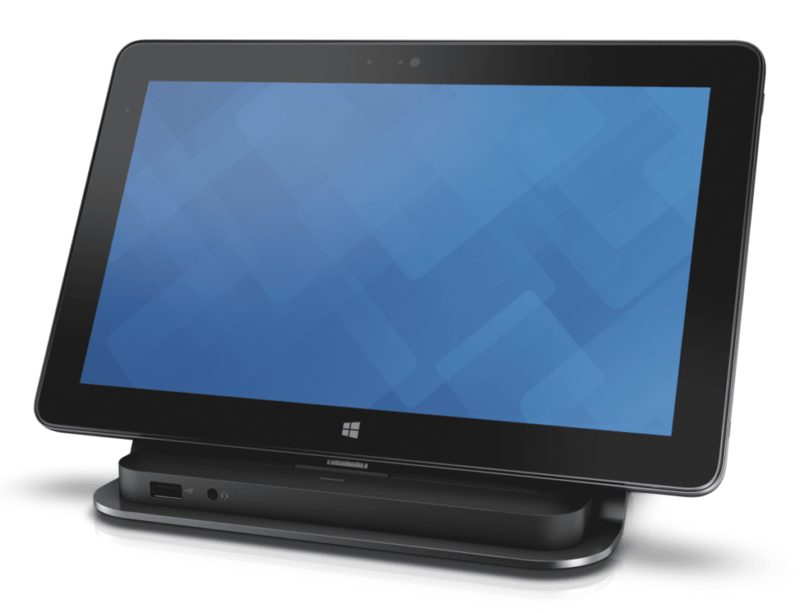 The Dell Venue Pro 11 (7000 series) is a tablet that is aimed towards the businessmen. The tablet is known for the amazing battery life and performance. You get a 10.8-inch touch screen and an Intel Core M processor which makes this tablet a real performer. It is one of the best windows 10 tablets for professional or business use. The tablet is very portable considering the size of the screen is just 10.8-inch and it is a 2-in-1 device. You can buy some accessories to make the tablet more useful to you. 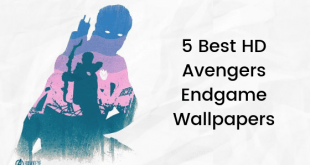 You can buy a stylus, a keyboard cover or a folio which will make it more useful. You can check more about this tablet here. 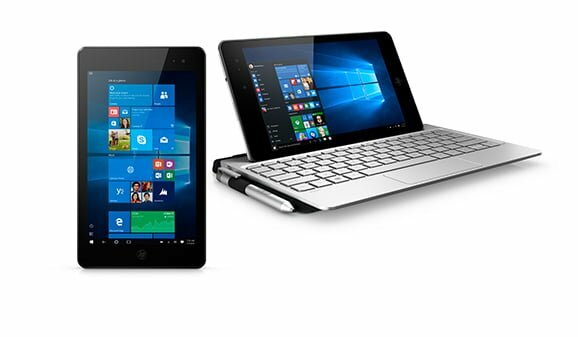 The HP Envy 8 Note 5009 is an 8-inch tablet which comes loaded with Windows 10. This tablet is perfect for people who are looking for a Windows 10 tablet in a small form factor. If you want a compact yet one of the best windows 10 tablets then this can be a great choice. The tablet is powered by an Intel Atom x5-Z8300 processor and coupled with 2GB RAM. You get 32GB eMMC onboard storage, and you can expand the storage using a microSD card. The battery that this tablet has will last up to 6.25 hours. You can also get a keyboard as well as a stylus to use this as a proper portable PC. You can know more about it here. 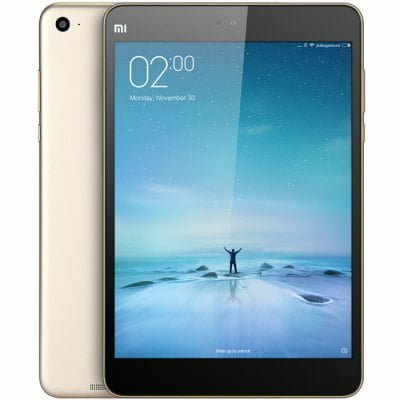 Xiaomi Mi Pad 2 comes in two versions i.e. Android and Windows 10. The Windows 10 version is surprisingly a very good tablet for the price. There is one downside, though, these tablets are currently only sold in Asian countries like China, but you can import them from sites like GearBest or AliExpress. It’s funny that the tablet looks similar to an iPad mini, and it runs on Windows 10. It comes with an Intel Atom X5-Z8500 processor which is coupled with 2GB of RAM. In terms of storage, you get 64GB internal storage. The screen has an amazing size of 7.9-inch and a resolution of 2048 x 1536 pixels. The tablet sells between $200-$250 which makes it one of the cheapest and affordable Windows 10 tablets in existence. So this was a list of some of the best Window 10 tablets that you can choose to go for in 2016. I’d personally get a Surface Pro 4 for myself if I needed a Windows 10 tablet but the options mentioned here hold their own good.